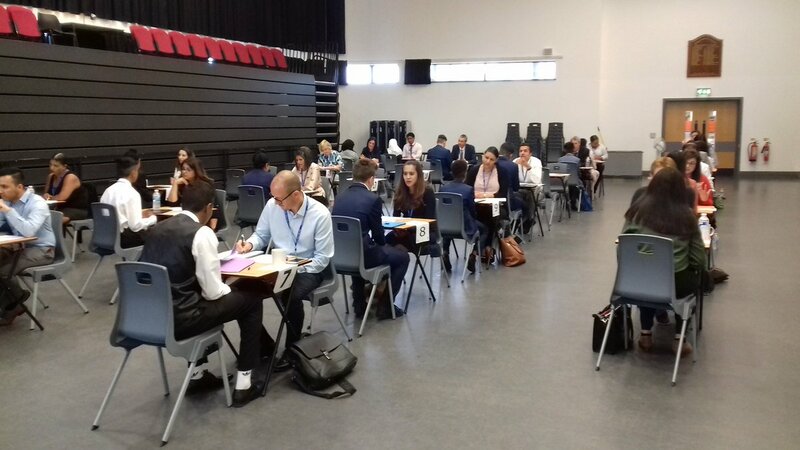 As part of the company’s commitment to nurture local talent, members of the team at Nylacast visited Soar Valley College to help students prepare for future careers through practising their interview techniques. Team members from Nylacast’s World Headquarters in Leicester joined staff from other local companies including Santander, Caterpillar, Office Depot and Leicester University. The Interview Technique initiative was developed and is regularly delivered by charity Leicestershire Cares. It is a work related learning activity for secondary school students. Interview Technique involves conducting mock interviews with feedback for students to prepare them for future interviews for work or college. The interview experience, advice and practice gained during this activity is a valuable learning tool for the students. Interview technique is one of the many engagement activities which Nylacast are involved in. Leicestershire Cares brings businesses and communities together, for the benefit of all, through employee volunteering. The charity provides volunteering opportunities for companies looking to get involved with communities in Leicestershire & Rutland.